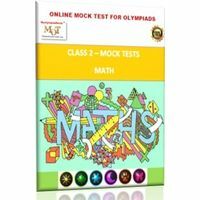 This Combo pack (for Science and Maths) from BMA includes: Bestselling resource book + Model test papers + Reasoning trainer Plus Product 1: BMA's Talent & Olympiad exams resource book India's top selling series. Excellent source of important concepts and objective questions for Mathematics and Science Olympiads/ NTSE / NSTSE /SLSTSE. Scholarship Tests and other National and State competitive examinations. Separate book for each class, Prepared on curriculum-based classroom content for CBSE/ICSE/Board of Secondary Education of all the states. Mathematics, Physics, Chemistry and Biology are covered in this single edition. Fundamental concepts are thoroughly revised. Exhaustive range of questions that stimulate and test the student's knowledge. Application / Skill / Knowledge / Understanding oriented questions. Solutions and explanations for challenging questions. 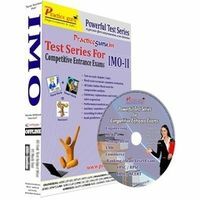 Product 2: BMA model papers This book contains model papers for Science and Maths Product 3: Reasoning trainer plus World’s First Reasoning Curriculum @ Schools Reasoning Quotient is a Must. Prepare Now! 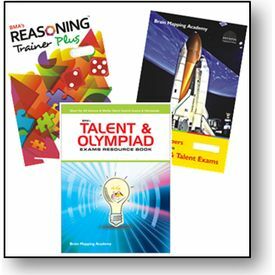 Reasoning Trainer Plus The catalyst to boost and sharpen logical thinking and reasoning skills. All the topics in this book are grouped as under: VERBAL REASONING & NON-VERBAL REASONING For each question type, worked out examples shows exactly what the question demands, and explains how to tackle it in three or four clear steps. The approach is systematic and highly effective, lending itself to active learning. Each topic is dealt with in a separate unit. Each unit begins with a brief explanation of the question types of the procedure to solve them. Sufficient Number of examples with clear step-by-step explanation to arrive the solution. Ample number of practice questions. This book contains several interesting and investigative problems with worked out examples and explanations.